Tarpon season is ramping up! 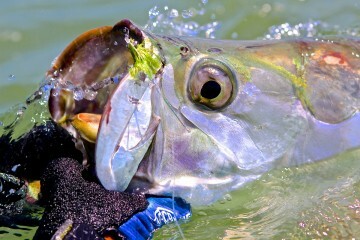 From January to April each year the tarpon build in the Florida Keys, ultimately reaching peak numbers through June. Florida and its Keys celebrate this time by holding numerous Tarpon fishing tournaments. This year, Florida Keys Outfitters bring us the 2015 Ladies Tarpon Fly Tournament!